The holiday season is approaching and many of us are preparing for families to visit and considering our favorite family dishes. Sometimes we overlook the table decor. 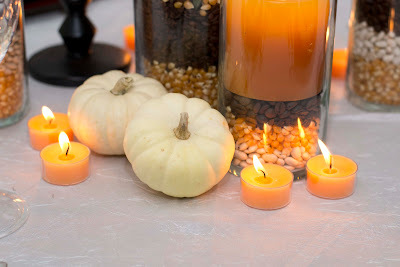 I put together a tablescape using many things we already have in our homes, and especially the kitchen! 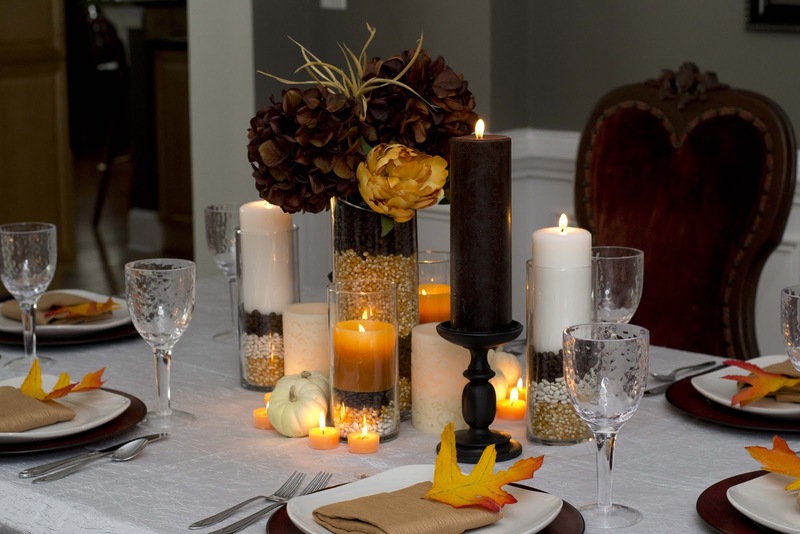 Your guests will love sitting down to a beautifully decorated table and somehow, it seems to make the food taste better and the conversation flow smoother as well. 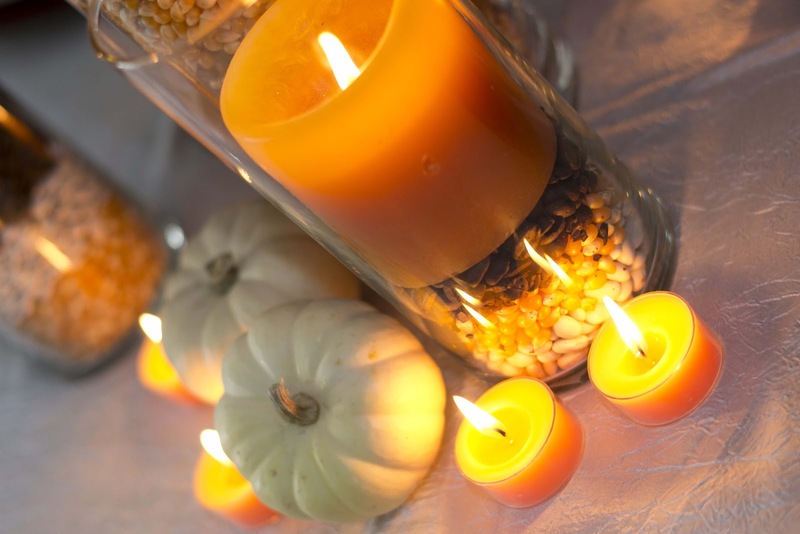 Since Thanksgiving is right after Halloween, you may already have plenty of orange candles and votives on hand and, of course, pumpkins are still lurking around. I filled cylinder vases, in varying heights, with popcorn, coffee beans, and white beans, and alternated their order when going from orange, ivory, and chocolate candles. Sometimes you don't have to look any further than what you already have to make something special and unique.